For years I have been traveling the same roads, going to the same place. I have the twists and turns of the route memorized in my muscles. However, I never tire of the feeling when I hop out of my car–the combination of hay and horses filling my nose as I look out to the barn. I walk through the aisle of the barn and make my way to the back door where I can see my horses. They nicker at me affectionately, reminding me why I love my horses and riding; I put so much commitment into the sport, even if it means sacrificing time with my friends. Horseback riding is comprised of both accomplishments and disappointments, but over the last eight years, I have learned those failures serve as the best life teachers. The type of horseback riding I do is called Three Day Eventing. 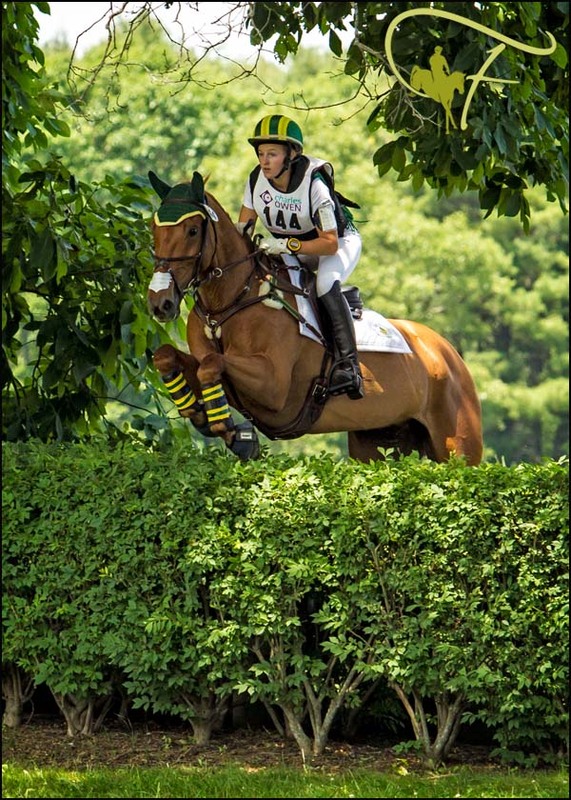 There are three phases in Eventing: dressage, cross-country, and show jumping. Dressage is the first phase in any show you go to. 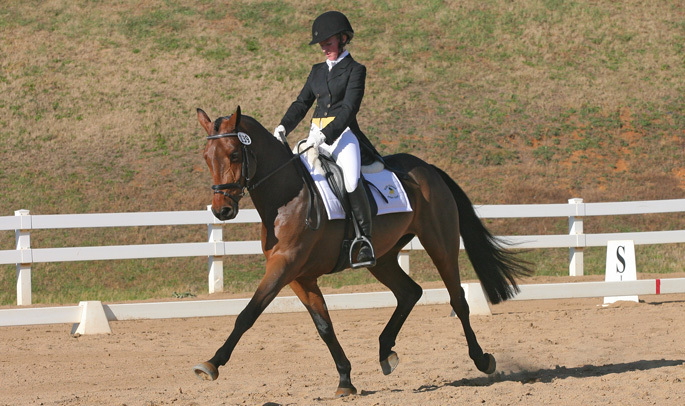 In dressage you have to perform a test, which has different movements that you are judged on. The next phase is cross-country, where you are galloping through fields and woods and jumping solid immovable jumps (stone walls, logs, water, banks, ditches). The point of cross-country is to jump all the jumps the first time and make the optimum time, which is usually five-to-six minutes. Last is show jumping. 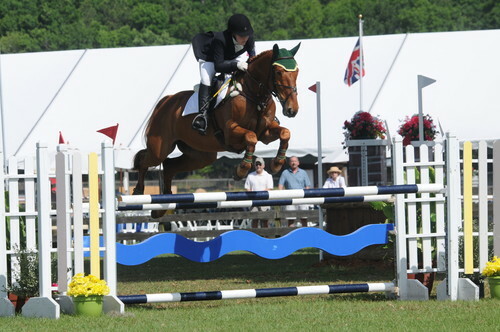 Show jumping is in an enclosed arena where the main objective is to jump all the jumps without knocking down any of the rails and not exceeding the time limit. In Eventing, there are six different levels: the lowest being Beginner Novice, then Novice, Training, Preliminary, Intermediate, and Advanced. As you move up the levels, the dressage tests get harder with more movements, the jumps get higher, and the technicality of the courses also gets more difficult. Eventing is considered the triathlon of horseback riding because it requires the horses and riders to be in terrific physical shape and be brave and trusting of each other. This past summer presented a new height in what riding could teach me when I got selected to compete in the Eventing Junior Olympics for riders under twenty one. Ever since I started Eventing five years ago, the Junior Olympics has been my goal. I spent almost every day of the last few years working as hard as I could to prepare for this show. 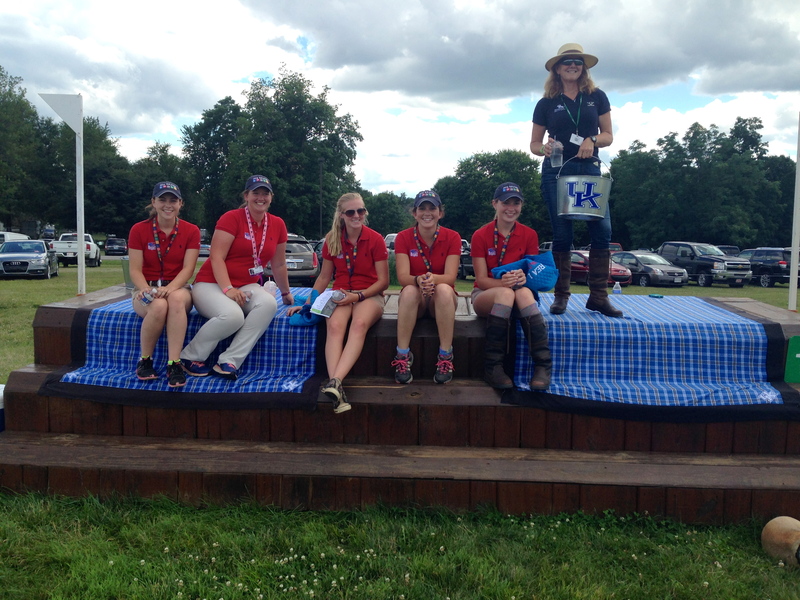 On the day of the event, I invited my family, friends, and trainer to come watch me ride in Kentucky. I was thrilled and beyond grateful to have my loved ones there and supporting me in the biggest competition of my life. It was a competition that in many ways was made possible because of their encouragement over the years, and I wanted them to be with me to share this accomplishment. The Saturday of the show was much like any typical Saturday at a horse show. Waking up at the break of dawn to prepare my horse and get myself focused. I remember everything so clearly while on course until I reached the fifth jump of the cross-country phase where my horse and I both fell. I hit my head, leaving me with no recollection of the moment. I ended up with multiple injuries and was deeply disappointed and embarrassed. Looking back on the fall, I started to consider it one of my life’s great failures. Then I remembered what horses have always been about for me: the journey of learning and improving myself and doing something that I love. As my injuries healed, I knew I needed to get back on the horse. As cheesy and corny as that sounds, it’s the honest truth. Falling off a horse is never an easy thing and as a rider I am my own harshest critic. I need to learn from my mistakes and failures and move on so I can give my horses the best rides! Yes, the fall itself felt like a huge failure. However, I realized what was going to be important was overcoming my mistake. In riding, there is always the chance of falling; it’s the nature of the sport. 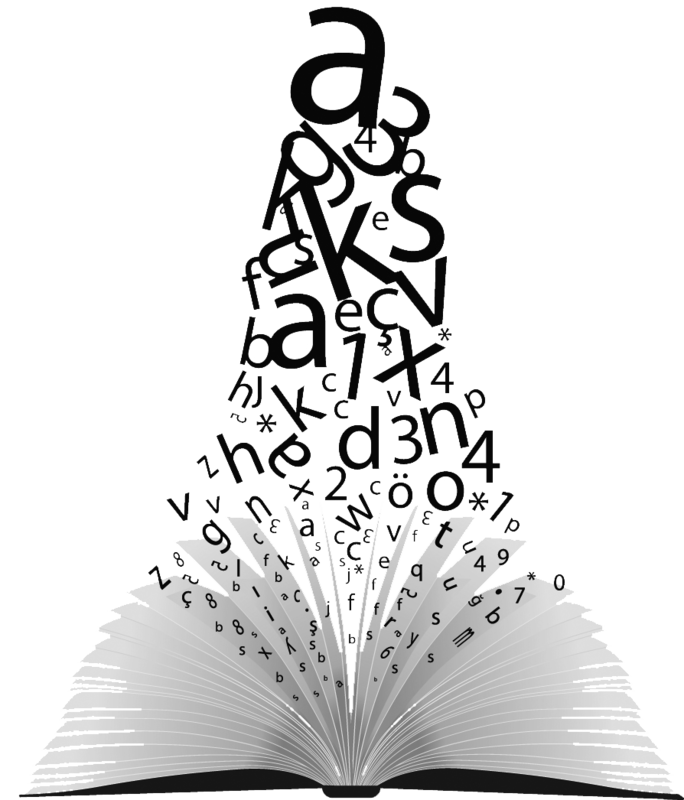 The essential thing, however, is having the confidence and character to learn from the mistake and move forward. Just because I fell, I was not going to throw away all that I have worked for. Once I recovered from all of the injuries, I was back to riding. I was determined to not let this fall define me. I worked hard to win back the trust of my horse and regain my confidence. At the next show, I led from start to finish against a pool of almost sixty competitors. The lessons learned through horseback riding carry over to my everyday life as a student and person. Horseback riding has shaped who I am. It’s taught me not only to be a hard worker but also to be dedicated to overcoming challenges in and outside the classroom. This failure in particular has taught me to not be afraid to attack my goals and be resilient. Even if I fail, I will keep at my goals, and if I struggle I will keep pushing through them until I find success. Paige Crotty is a VI Form day student from Southborough, MA. She plays squash and rides horses. By smleo in Season 2, Volume 2.7 on January 13, 2015 .